To help prepare riders for my 2018 Longest Ride Challenge I’m offering paid personal training packages which are optional to all participants in the challenge and are completely voluntary on my behalf. All payments for my personal training packages will go directly to the documentary film project which the 2018 Longest Ride Challenge is supporting and all payments for personal training support should be made directly to the fundraising page for the documentary. These personal training packages will offer remote support (phone & email) and are largely to be delivered outside of 9-5 weekday working hours (because they will be managed in my spare time and not during my standard working hours). All my personal training packages for the 2018 Longest Ride Challenge will involve an initial consultation to establish appropriate goals and to ensure that the Longest Ride Challenge is suitable for your health and personal circumstances. We will then set appropriate goals, to ensure you will be ready to achieve a specified target longest ride distance by a specified target date. All my personal training packages for the 2018 Longest Ride Challenge can be designed to encompass additional sporting goals which you may have alongside the goal of completing your longest ride ever. So don’t be afraid to commit to doing your longest bike ride (ever!) alongside other sports and fitness goals that you might have for 2018. It’s doable! The challenge goal is to complete your longest ride, ever, whatever that distance is. My own 2018 Longest Ride target will be 2,700km (1,700-miles) and I plan to complete the entire ride within 13.5 days. £100 per month for remote (email) support – as needed – and weekly phone consultations to keep you on track. This package suits anyone from the complete beginner to the established athlete who lacks specific ultra-endurance training experience. The program can be updated as often as is required and contact can be made as regularly as is required for your confidence and peace of mind. £100, paid as a one-off payment. This covers the design of a bespoke training plan which you will then run with on your own. 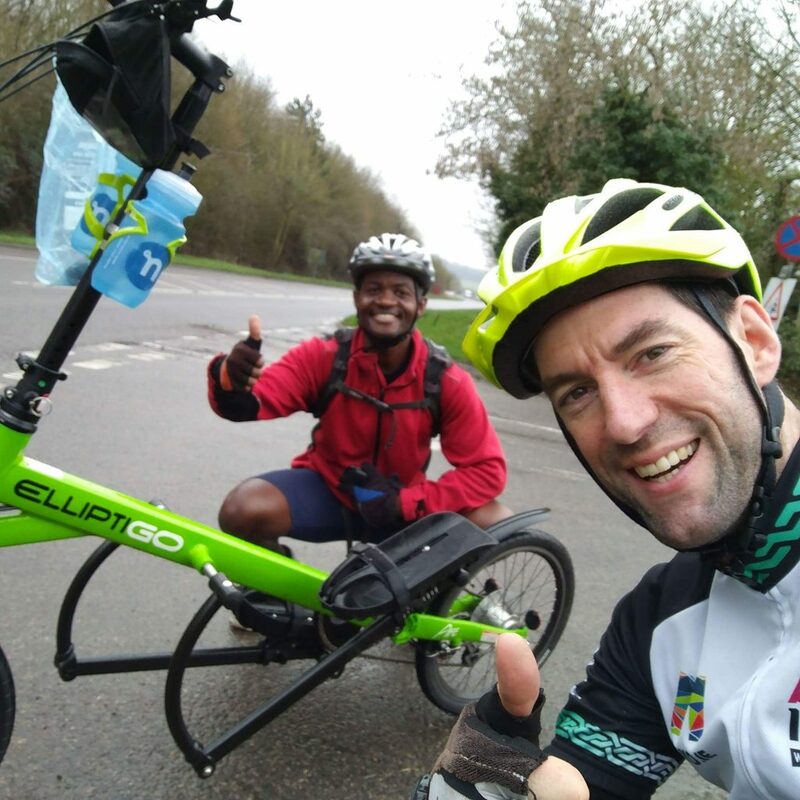 This package suits confident and experienced athletes who may not have either ElliptiGO long-distance training experience or general long-distance cycling experience. £100 per day of accompanied riding during your longest ride challenge. This package is for rides up to 2 days long and there is an additional fee of £100 for the consultation process. So that’s a minimum of £200 in total for this package, if you’d like to be accompanied by myself (or one of my experienced long-distance cycling colleagues) on your 2018 Longest Ride Challenge.This fee should be paid as a one-off payment for an accompanied longest ride. I’ve mentored and supported a number of experienced endurance athletes who have not required much training support, because they were already at incredibly high fitness levels but simply lacked the skills required to complete a 200km or longer ride. This package is aimed at similar athletes (who are very fit and are also reasonably experienced in cycling, running and other endurance sports). 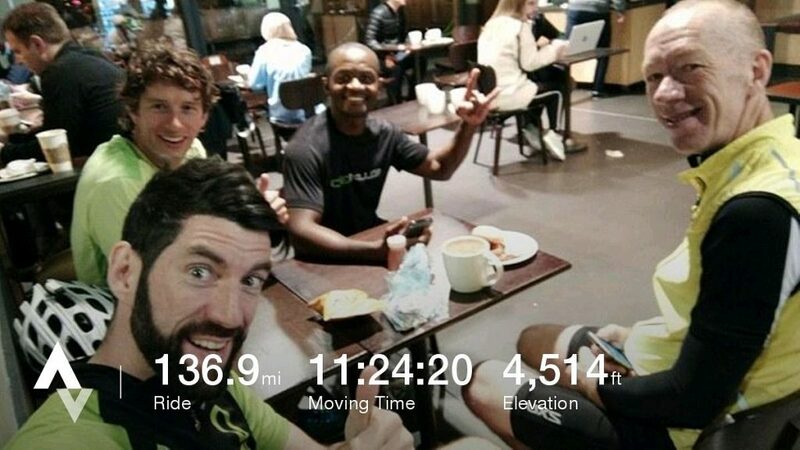 For such athletes, I have had a 100% success rate by simply taking them on accompanied rides (during which I paced the athletes and supported their in-ride nutrition and mindset, to ensure they completed their Longest Ride target distances). I have accompanied athletes in continuous rides ranging 160-600km (100-400 miles) long, under very strict timings, with a 100% success rate. So for the 2018 Longest Ride Challenge, where timings and pace are not the main parameters (only the target ride distance) I am confident of 100% success rates for any distance targets that my partner athletes commit to. Please note this Accompanied Ride package does NOT apply to any riders who will accompany me during my Double End-to-End Longest Ride Challenge, it is specifically for those challenges done separately, at a different time and place to mine. A brief feasibility discussion will be required to establish whether or not this package suits an athlete’s needs, but I mainly will take direction from the athletes themselves (because much will depend upon their levels of personal confidence). If you’d like to find out more about these packages, or if you want to know which one will best suit your Longest Ride goals, don’t hesitate to contact me.